Notes by Steve Haines on a lecture given by Dominique Degranges, Da-Sein Institut, May 2011. Dominique is a hugely experienced and very inspiring teacher. His workshops are full of laughter and generosity, he has a very playful style and a real passion for birth dynamics. This lecture was on seminar five on the undergraduate training in BCST. He has studied with and worked alongside Sills, Castellino and Levine. Dominique is also the illustrator for Franklyn Sills’s books. He runs the Da-Sein Institut in Winterthur, near Zurich, offering courses in biodynamic craniosacral therapy and pre and perinatal work. I was really interested in how he integrated creative resistance into his teaching and treating. After the lecture the group did a table exercise on meeting, acknowledging and supporting any expressions of the birth impulse. The focus on engaging the power behind any movements and supporting natural pauses I am finding very useful. It is important to acknowledge our own experience of being born, and, for some of us our experience of being parents, when talking about birth. Birth is a very potent and dynamic process, there is a ‘birth energy‘ that stays within us. Sometimes we can go into activation without realizing it has happened. It is not uncommon for people to feel like a mist has descended into their brain or for them to become really impatient when birth is in the field. As you investigate birth see if you can notice your own activation, but also hold a willingness to explore and an intention to be your own witness. Birth is a transition moment. We become aware of our shape and physical form in a new relationship to gravity. We are no longer floating in a fluid sac. Birth prepares us to feel. It provides a creative resistance and opposition. In meeting the resistance and compression we find our strength, independence and power. This power never leaves us. It is an absolutely archetypal force. It is a wonderful resource if we can embrace it. By initially focusing on the power and joy of birth we can then meet our imprints more easily. We all hold our own birth process in our bodies, right here and right now. It is largely unconscious but deeply affects who we are. Birth can be a struggle. The struggle is not only about surviving (1) but also, on a deeper level, it is about our existence. Beneath the nervous system activation of the struggle to survive and be safe in a body is the question ‘Am I allowed to be here?’ If we never received a yes then it is easier to disappear. Sills (2009 p.11), following Lake, calls this ‘wounding at the level of being’ (2). There should be a fire or an ignition in the transition of birth when successfully negotiated. If the ignition does not fully express we can experience a lack of connection to the ‘deepest roots of life’ (Sills 2009 p.11). Our whole impulse to exist is dampened down in someway. 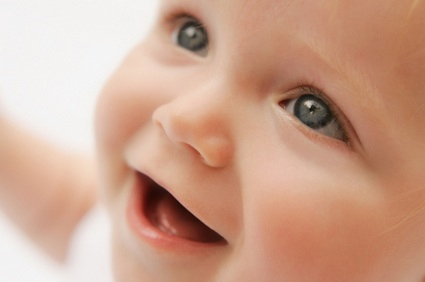 The impulse for birth should be initiated by the baby. The space becomes less and there is more compression. A clear yes to the transition of birth will take time to emerge. When the impulse manifests this can be incredibly joyful, an expression of the fullness of creation. The baby meets a gateway to the world that must be negotiated. A natural slowness and pacing with lots of pauses can help of negotiate the movement through the gateway. It will involve leverage, rotating, head bending and whole body wriggling to make it through the birth canal. If the movement impulse is blocked then there will be patterns generated in the form. The patterns will influence the structure, function and behavior in the present moment until they are resolved. The client leans into the practitioner. Keep eye contact, start slowly using maybe 50% of the weight of the client and hold for a short period only. Break the contact and the client takes time to tune into their body. Recycle the first step a couple of times, increasing the time and the effort. The practitioner offers creative resistance, they allow their hands and body to be moved but offer a consistent graded opposition to the impulse from the client. Just enough resistance so the client can have his/her own power. For the client: Be open to the joy and power of strongly using your body. For the practitioner: Make sure there are pauses. Support the client to explore the sensations in their body as soon as they stop pushing. Can they feel a surge in their body? Could this be an ignition or an expression of potency through the midline? If feeling confident and safe the client can use their maximum strength. Really push the opposing practitioner around the room. For the client: What is it like to experience creative opposition using your full strength. For the practitioner: Find your ability to meet and respect the power of the other person. Find your fulcrums of stillness and your own strength. You can meet this force. Encourage the client, laugh with them, keep eye contact if possible, let them push successfully. 4. End with a focus on the clients responses and create some time to discuss. Sills, F. (2009) Being and Becoming – Psychodynamics, Buddhism, and the Origins of Selfhood. Berkeley, CA: North Atlantic Books. Sills F. (2011) Foundations in Craniosacral Biodynamics: Breath of Life and Fundamental Skills Volume One. Berkeley, CA: North Atlantic Books.